One of the common signs of diabetes mellitus is blurred vision, which refers to the loss of sharpness of vision and the inability to see fine details. Blurred vision can affect one eye (unilateral blurred vision) or both (bilateral blurred vision) eyes, and can occur often or rarely. Regardless of how often it occurs, it should never go untreated as it could be an indicator of another, more serious eye problem. 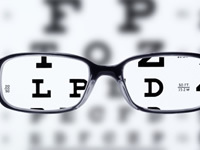 Blurred vision can occur by simply forgetting to wear your prescribed corrective lenses. But in many cases, it is usually a sign of an underlying eye disease. Blurring of vision may also occur as a result of very low blood sugar levels. If this is the case, your vision should return once your blood glucose levels have returned to the normal range. If your blood sugar levels are fluctuating over time, you may notice that your vision improves and worsens for periods of time. Have you ever had blurred vision and did it go away? There are various different interpretations/understandings of what blurred vision is, but in most cases the term is used to describe the inability to see fine details and a lack of sharpness of vision. If you’re experiencing sudden blurred vision together with eye pain, you should go see your doctor and have your eye(s) checked. If your vision has become blurred over time, it could be a sign of an underlying condition, which could be diabetes amongst other possible causes. Your doctor should be able to help distinguish why your vision may have worsened.